This one is very minor, and with broadband internet, this point doesn’t make a noticeable difference when it comes to bandwidth usage and speed. With modern computers, this one is also less important. However, I personally have had bad experiences with Flash consuming a lot of memory. In addition to traditional image advertising, AdBlockers also pesky link advertisements and Flash advertisements. Another reason for removing advertisements is they can be misleading. A prime example of this is on sites that allow you download software. When you’re ready to download the software, you click the Download image. Some cleverly placed adverisements have a Download image, where an unsuspecting web user may click and download and possibly install the wrong software. 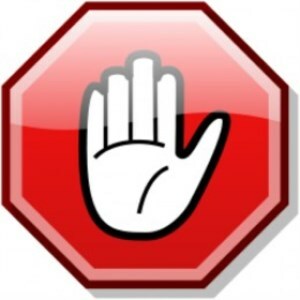 All in all, AdBlockers improve the total browsing experience. The only time advertising has been beneficial is on Google website, where the results at times have matched my search term. I’m still careful about click it, but have at times considered it. Once you get started, subscribe for free to a region-dependent list and that's all there is to it. In the US, the list is defaulted. Best of all, the software is completely free. There isn't a reason not to download one.